Success! Gloria from Guatemala raised $1,107 to fund malnutrition treatment. Gloria's treatment was fully funded on April 17, 2017. 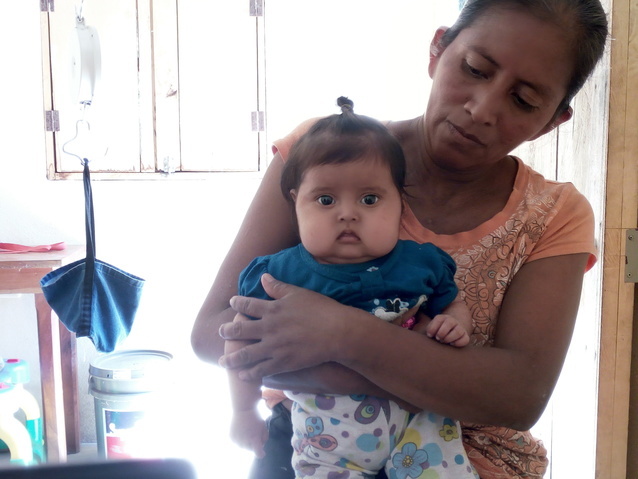 Since beginning treatment for lactation failure, Gloria has been gaining weight and growing stronger. Gloria’s mother says that before her daughter entered into the nutrition program, she was not doing well, as she was often sick and she was not growing well. Now with the help of formula and nutrition education, Gloria is developing and growing healthily. With continued treatment we are confident that Gloria will continue along this healthy trajectory. You may have noticed that this update was published a long time after this patient’s treatment date. We recently fixed a bug in our system that was causing a backup of some old updates, and we apologize for the delay! 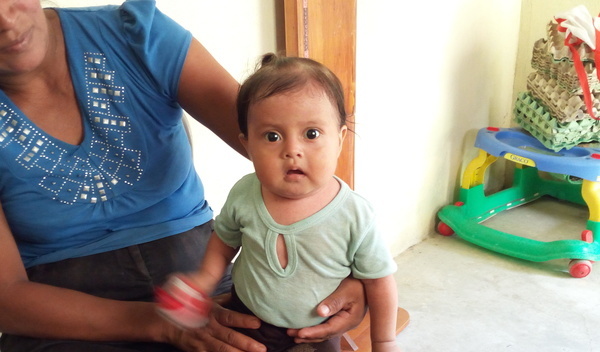 Gloria is seven months old and lives with her mother in rural Guatemala. She has malnutrition, a dangerous condition that results from consuming too little protein, calories, and nutrients. Malnutrition has left Gloria with a weakened immune system and little energy. Recently, Gloria has not wanted to eat and gets sick often. If Gloria does not receive treatment, she will also face malnutrition’s long-term consequences, such as increased risk of chronic diseases, low IQ, and higher likelihood of dropping out of school. Fortunately, Gloria will begin nutritional treatment on January 16. While her mother does all that she can to support Gloria’s health, she cannot afford treatment for her daughter’s malnutrition without outside help. Our medical partner, Wuqu’ Kawoq, is requesting $1,107 to fund her care. Treatment will give Gloria’s family tools to maintain nutritious diets, and it will give Gloria a chance to grow healthily. Gloria's case was submitted by Cate Hendren at Wuqu’ Kawoq in Guatemala. Gloria was submitted by Cate Hendren, Complex Care Coordinator at Wuqu’ Kawoq, our medical partner in Guatemala. Gloria's profile was published to start raising funds. Gloria received treatment at Clinic Miller. Medical partners often provide care to patients accepted by Watsi before those patients are fully funded, operating under the guarantee that the cost of care will be paid for by donors. Gloria's treatment was fully funded. Gloria's treatment was successful. Read the update. Kaziona is a farmer with six kids from Malawi. He works hard on his farm daily and enjoys listening to the radio in his free time. For over a year, Kaziona has had a bilateral hernia. He has experienced a lot of pain and urinary difficulty. 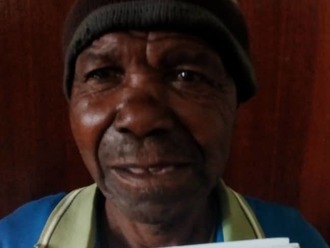 Fortunately, on March 19, he will undergo hernia repair surgery at Nkhoma Hospital, our medical partner's care center. Our medical partner, World Altering Medicine, is requesting $334 to fund Kaziona's surgery. The requested money pays for supplies, medications, and six nights of hospital stay. He looks forward to being able to resume work on his farm and care for his large family. He says, "We are so grateful for this program and hope it will continue to help others like us!"